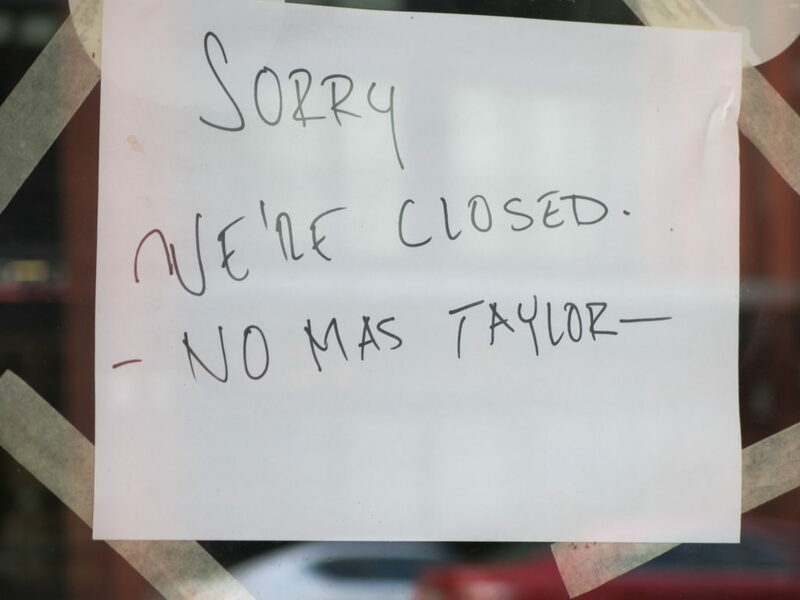 PoPville » What bar/restaurant closure from 2018 hurts the most? lots of Au Bon Pain, lots of Jimmy John’s, some Paneras, Creme, A couple Dunkin Donuts, Gordon Biersch, Atlas Arcade, El Camino, Uprising Muffin, Black Squirrel, Zentan, 201 Bar, The Prospect (sorta), RareSweets, Glen’s Garden Market (Shaw), Las Canteras Peruvian Restaurant, Ardeo + Bardeo, Black Rooster Pub, DGS Deli, La Mano Coffee Bar, Thally, Greenberry’s, Cafe Ole, Sip of Seattle. I lied and did a little math – that’s at least 69 72 spots closed. And I’m sure I missed some. Damn. Anyway, who do you miss the most?